The Windy City, originally uploaded by Bednarski Media. 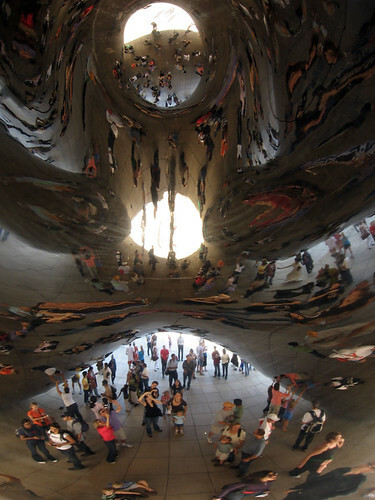 Chicago's downtown and its bean. That's awesome. Almost bizarre, like looking at "us" through some others creature eyes.